Where to get tension rods for DM10X modified drum pads? I just replaced the single ply mesh head on my modified 12” drum pad with a 3 ply head. The pad was modified to make the shell taller. Since the single ply heads had a lot of stretch in them, I could still mount them with the existing rods. Not so with the 3 ply head. So I’m now looking for longer rods and seem to be having trouble getting some with the larger diameter that alesis uses. The first set of rods I ordered were standard 12/24 rods. The thread pitch is the same but they’re just small enough that they will slip when you start to get a reasonable amount of tension on the head. I then read on these forums that alesis uses M6 rods. So, I ordered a set of Rods advertised as M6. I received them and they’re exactly the same size as the 12/24 rods! I went to the hardware store and found that the original rods are, in fact, M6. I even bought some M6 x 55mm Allen head bolts for temporary use and they fit perfectly. Has anyone found M6 (close to 55mm long) tension rods that are ACTUALLY M6? I’m hoping not to waste anymore time and money hunting for these. 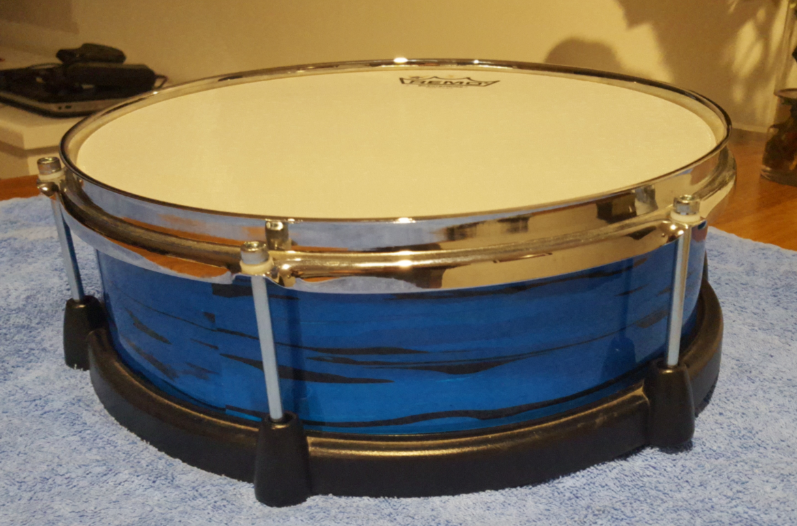 Re: Where to get tension rods for DM10X modified drum pads? Oh i know this issue well... I made my shells taller and had exactly that issue.. I have changed all my drum lugs to Allen Bolts.. Here is one of my taller drums with it's allen bolts. They look pretty sharp I reckon. Another thing I like about the allen bolts is that the key for them locks in such that you can turn it with one finger way better than you can with a drum key. Actually, I think you’re the one I got the idea from in another thread (about threads). I just cannot understand how companies can advertise their products with the wrong specs. I see your point about the up sides of the Allen bolts but I’m not crazy about having to have a different wrench to worry about. If I can be certain that a set of rods are truely M6, I’d rather have them, but I’m tired of ordering rods that don’t fit (I’ve been through 3 sets so far). If I cannot find any, I’ll have to track down some stainless steel Allen bolts. The only ones I could find are black and I’m guessing will eventually rust. BTW: I see you have a Remo Silentstroke Head. Have you tried any other mesh heads? My entire kit has the Silentstrokes, but I just replaced my snare pad with Prism SS 3 ply and it made a word of difference in the feel and in the triggering. If you haven’t tried 2 or 3 ply heads, it’s worth trying. Yep. The thread is M6.. Regular drums threads are not. It was the chap at drummer base that gave me the idea after he told me he could not get 60mm (or whatever it was) regular drum rods. Thanks.. I love the look of my pads now.. I first bought the 682 mesh head for my kit. They were single ply and an utter nightmare.. On my DM10x pads it's like the drum hoops on the 12" drums are too big. The 682 heads slipped inside the hoops when I tightened it up. The Silentstroke heads work way better. I've not tried anything buy single ply on mine. They work fine but are a tad bouncy for my liking. You may have noticed in my other threads my pads are not like anybody elses. I have modded them withing an inch of their life and loving them way more now than when I got them. The allan key would not be 'another' to worry about. It is the 'only' one to worry about. Leave the drum key at home. I have 3 allen keys in my drum stick bag now. edit: Of course i can't leave the drum key at home... It does up my rack. In any case, the Allen bolts are a good alternative and I’ll go with them if these don’t fit. Regarding the heads: I also liked the Silentstrokes, the bounciness made it hard to get good triggering for ghost notes and rolls on the snare. This is especially true if you like a tight snare head. I have only tried one 3 ply and it’s from Prism in the USA. If you’re here in the US, I highly recommend trying one on the snare pad. They are well worth the cost, IMO, and seem ultra durable. I don’t know if I’ll ever need to replace it. I don't have that issue with ghost notes and rolls on my pads. But my mod is not for a feint heart'd. I'm on the East Coast of Australia. Thanks for the link anyway. 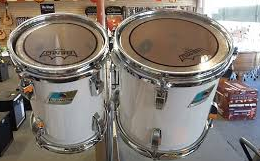 I'd like to try a 2 or 3 ply head on my snare and maybe all my pads. I made a head once out of 'Pet proof' fly screen mesh. It was very thick heavy stuff.. It did not work well on my pads. I came across the thread on your mod. Definately not for the faint at heart! Very impressive though! I just received the rods today (Pearl part number T-054/6) and they fit perfectly! So it was just the wrong item sent. For anyone looking for M6 rods, the best place to look is places that sell marching drum parts. Too late now, but another advantage of the allen bolts is you can get the long enough so you don't see any thread. (see my image above). That became a 'think' for me when I was doing my mod. another advantage of the allen bolts is you can get the long enough so you don't see any thread. (see my image above). Right. I noticed that in your photo. My mod only affects my three 12” pads (elevating the stock shells by 1/2”) and their not very showy (see attached). However, it’s an easy mod and works very well. Note the white “risers” between the base and the shell. You just watch.. Starts as white 'risers', then comes the embroidery hoops, the rubber piping, brickwork, wood turning... Then you'll spot a wrap you really want (like I did) and want to show it off, so you use mud brick and craft some 'earthin risers' and have toms that look like power toms of the 1970s. You’re right! I’ve done a Lot of tweaks to get to my current design. There’s always something to improve. You caught my interest with brickwork. Sounds like a heavy mod! You were right. It didn't take me long to get curious and experiment. Just for kicks, I thought I'd try to make some DIY budget drum wraps. I picked up a 2" roll of that black and yellow striped reflective safety tape at the hardware store and made drum wraps for my entire kit. It cost me about $8. I stuck the tape on some old 24" x 36" drafting mylar I have laying around and cut it into 1" strips for the shells. The mylar gives it rigidity and it allows me to secure it onto the shells with a little double-sided tape. This makes it easy to switch out to something else later. There's a lot of reflective (and other) vinyl tape out there with nice colors and designs. Of course, I chose the cheapest for my experiment. This makes me now want to find a slightly deeper shell for my 2" pads so it will show more of the wrap.